Where’s my backpack Travel Theme: Time. Spending Time in San Clemente, Ca. 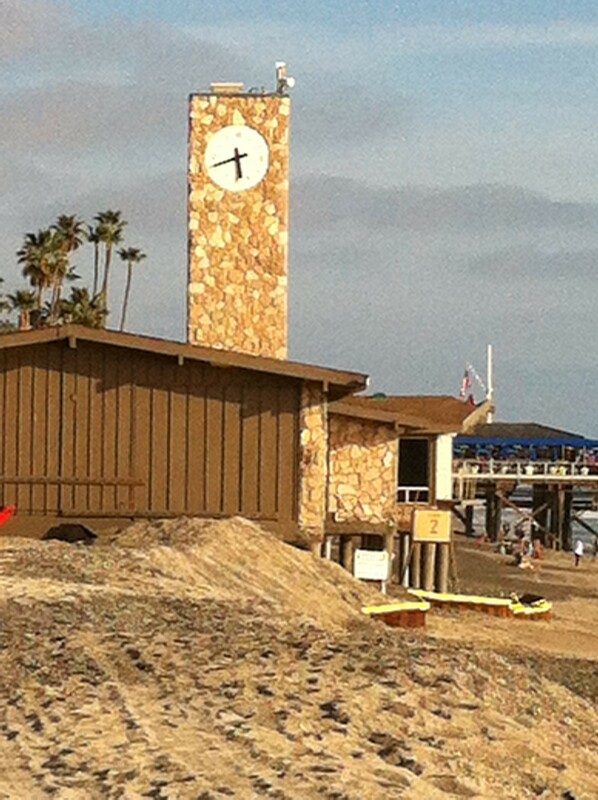 San Clemente beach clock sets on top of the Lifeguard station, which is on the North side of the Pier. 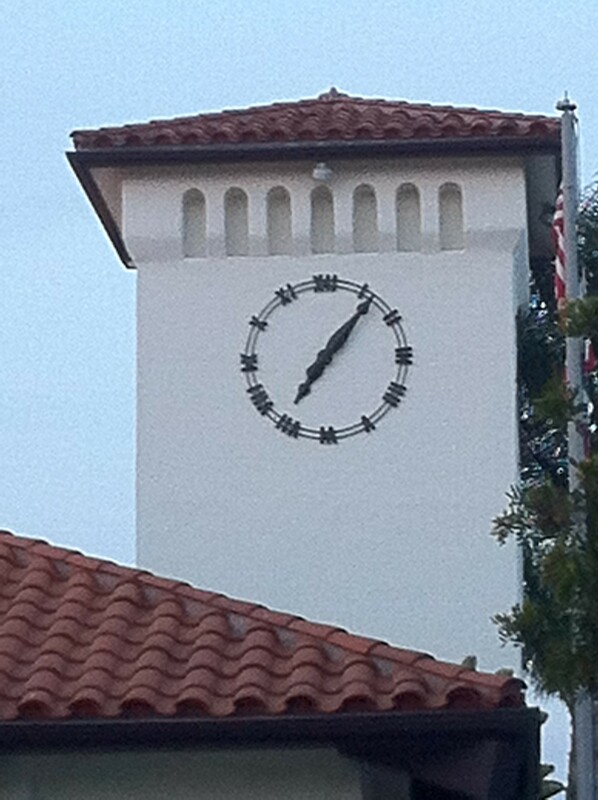 Downtown Del Mar Street clock sets on top of our Library on the South end. 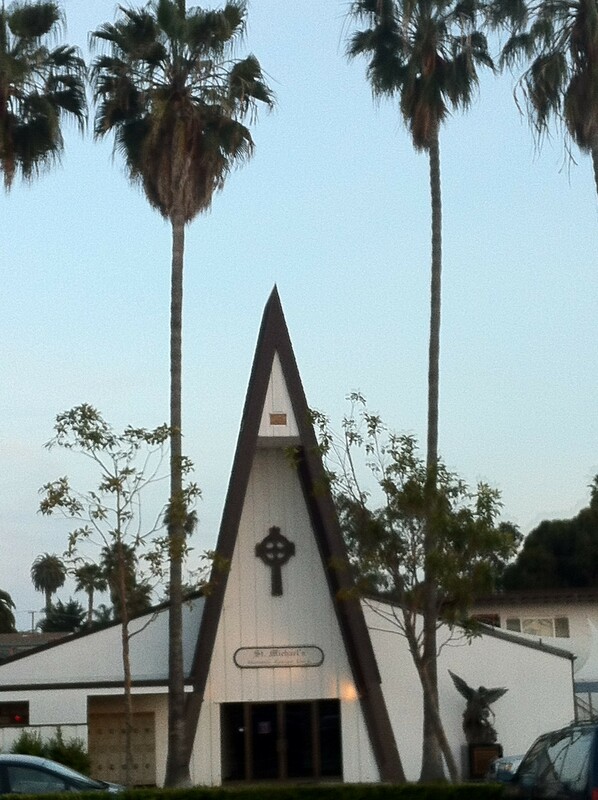 This church is behind my house and bells ring on the hour seven days a week. I will never get tired of the church bells ringing on time. 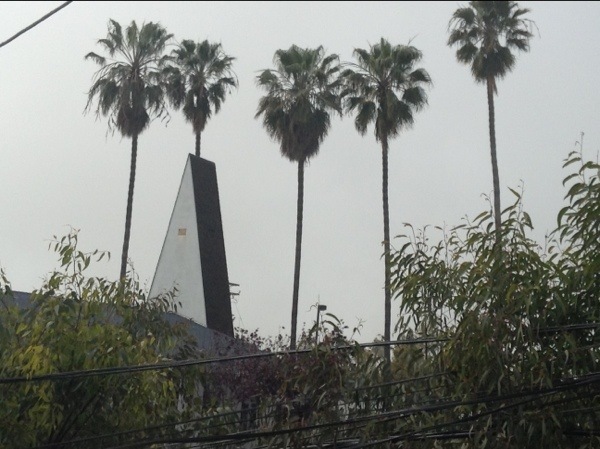 This is the back side of the church’s steeple that I see from my bedroom porch. 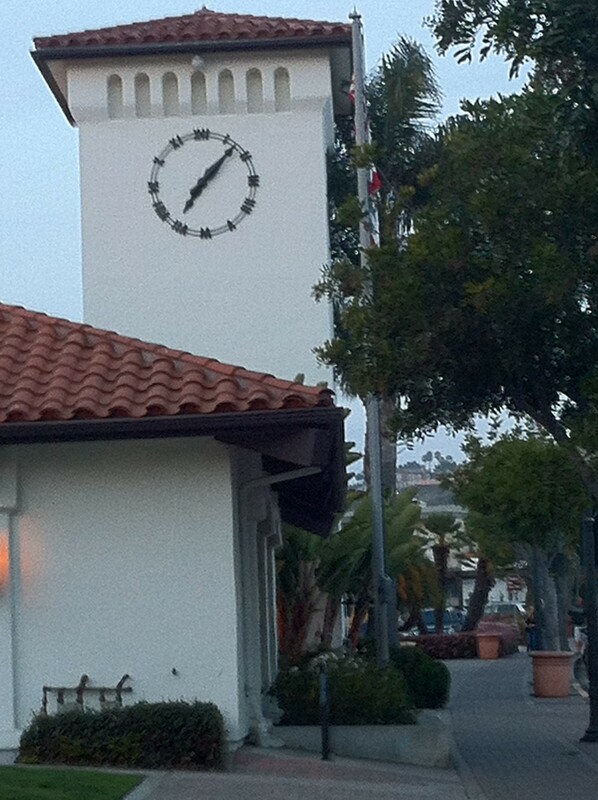 If you are ever in San Clemente, Ca., you will never be without Time! For more information on San Clemente Tourism go here. This entry was posted in Beach Safety, Local Favorites, Photo Challenges, San Clemente, Ca -, Surf Content, Tourism, Travel Theme and tagged Beach clock, Church bell, Clock, photo challenge, photography, San Clemente, San Clemente California, Time, Travel and Tourism, Travel Theme: Time, Where's my backpack. Bookmark the permalink. Yes, they ring like traditional bells. They are ringing as I am writing to you! It is loud, but it is heard and not heard, if you get what I mean? Come to think about it time does fly by! Especially today ! Thank you for stopping by. I really enjoy viewing your blog! Thank you v much S 🙂 lots of goodies to view on yours too !